I sold a story! To an anthology called Eclipse, edited by Jonathan Strahan and published by Nightshade Books! Yay! Congrats on the story and the stool! And I'll see you at Readercon! Maureen goes from triumph to triumph! Soon she will stand atop the bar stools and address the multitude. Hurrah! 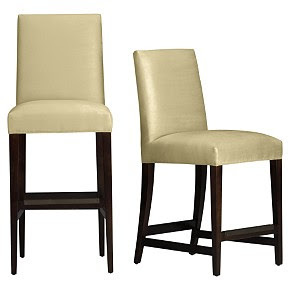 And what I will say, is, "The bar stools were on sale!" I ran AggieCon V. While you're there, dogo see Hal Hall and the Sterling C. Evans Library SF collection. It's cool. I bought a rain jacket yesterday, which made my evening. I suppose AggieCom doesn't have anything to do with agriculture? Well, AggieCon is really really tenuously connected to agriculture. It's a sci-fi convention at Texas A&M whose football team is called the Aggies because like Ohio State, it has a strong history of agricultural studies.